What is dry needling and what can it do for me? Dry Needling is a technique that uses thin monofilament needles. These needles are much smaller than the hypodermic needles you associate with getting a shot and as a result, they tend to be painless or much less painful than the insertion of traditional hypodermic needles. It is known as dry needling because no substances are injected with the insertion of the thin needles. When performing dry needling we use needles similar to or the same as those used in acupuncture. The difference between dry needling and acupuncture has to do with the goal of the treatment. In acupuncture needles are generally inserted at acupoints meant to change the flow of ‘qi’ or energy consistent with a traditional eastern medicine approach. When using dry needling as part of our treatment we are targeting specific anatomical structures. The needles are inserted into the soft tissues of the body. The needles can be inserted into a variety of different tissues including muscle, tendons, or fascia depending on the patient’s need and desired result. Dry needling can be effective in treating trigger points, the painful “knots” felt in muscle tissue by causing relaxation of the muscle at that specific point, interrupt the pain signals from the nerves in the area, and stimulate new growth of connective tissue. Dry needling can also be effective in treating tendinitis. By using dry needling we can create areas of controlled microtrauma stimulating the body to release healing factors. In this way, we are able to use dry needling to help improve healing in a targeted area of the body. Dry needling is most effective when used as part of the treatment that may also involve other manual therapies such as soft tissue mobilizations, joint mobilizations, stretching, as well as therapeutic exercise. 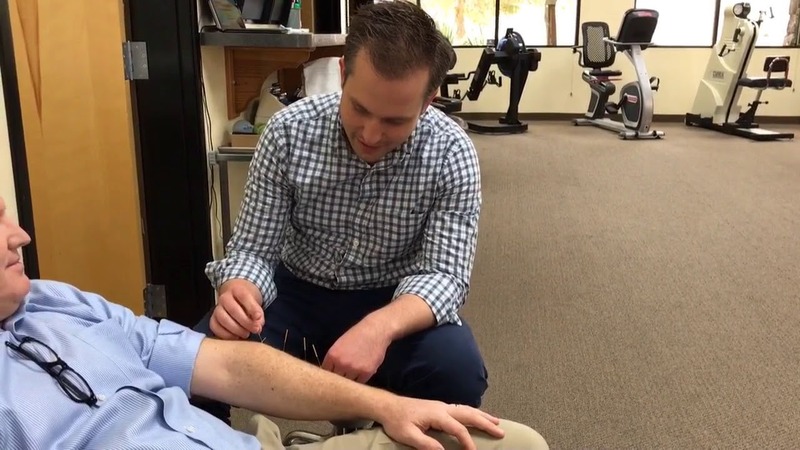 Dry needling is also commonly known as trigger point dry needling since one of the main focuses in this technique is to relieve these trigger points through careful and precise punctures.